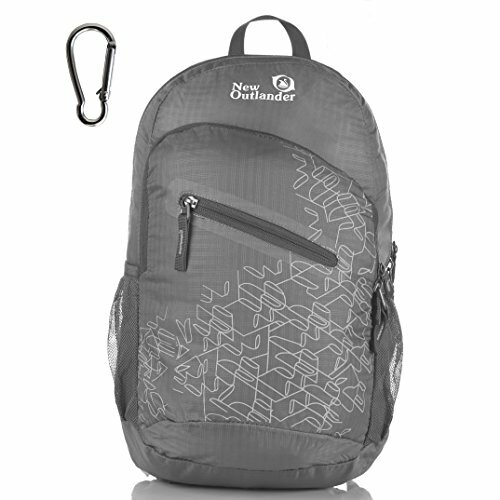 About Outlander Packable Backpack With a stylish look, this packable go-anywhere pack is for super-minimalists who make every gram count. Ultra-light. Ultra-durable. Ultra-awesome. The backpack is perfect for day-to-day use or occasional travel. Adjustable breathable straps make it easy and comfortable to carry for all day use. COMPACT. 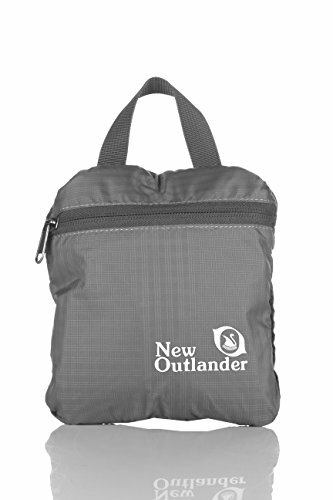 Folds into zippered inner pocket to fit anywhere. 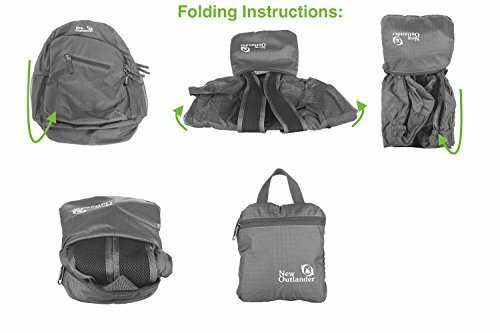 Unfolds from pocket to backpack. Must have on every trip. MULTI COMPARTMENTS. Features a classic shape with several pockets for storage and organization. 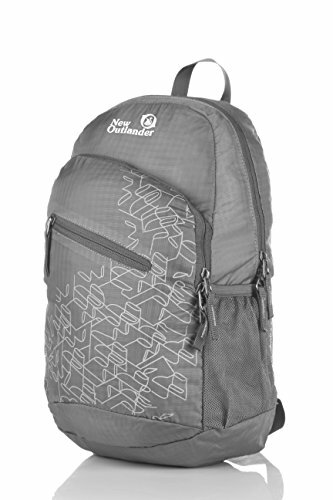 This backpack has a roomy main compartment, two front zipper pockets to hold small accessories, one internal security zippered pocket for valuable items and two side pockets for water bottle or umbrella. 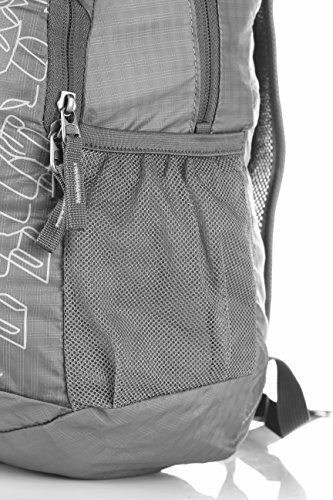 LIGHTWEIGHT(0.46 Pounds/0.5 Pounds) and ROOMY(20 Liters/33 Liters). A true space saver. Stuff the bag into its own pocket for storage—no extra fees, and unzip it when you reach your destination. Avoid overweight charges, simply unfold from your luggage and use it as a carry on for your excess baggage. DURABLE. The backpack is made from highly rip and water resistant nylon fabric, provide strengthen and long-lasting performance with minimal weight. Stress points are reinforced with bar tacking for increased longevity. 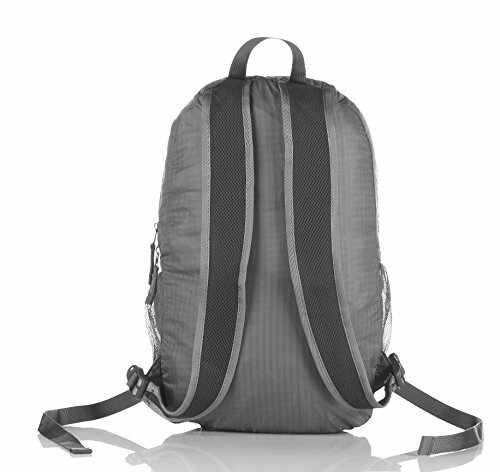 Durable 2-way Abrasion Resistant SBS Metal Zipper across the backpack. Dimensions: 20L: Unfold: 16.92×10.63×7.08 inches, Fold: 6.29×5.90×1.97 inches Dimensions: 33L: Unfold: 19x13x8.2 inches, Fold: 6.29×5.90×2 inches. Warranty: Our Promise-Lifetime Warranty-Exchange, return, whatever it takes. Ultra-light. Ultra-durable. Ultra-awesome. The backpack is perfect for day-to-day use or occasional travel, and great gift for everyone.Water-resistant and DURABLE. The backpack is made from highly rip and water-resistant nylon fabric, which provides strength and long-lasting performance, with minimal weight. Stress points are reinforced with bar tacking for increased longevity. 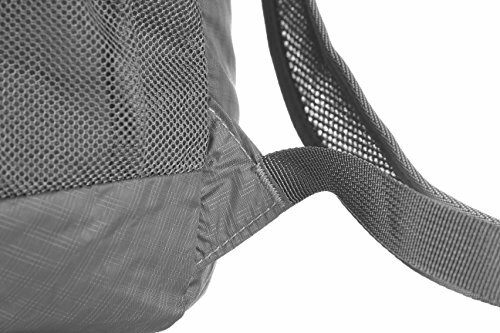 We use durable 2-way Abrasion Resistant SBS Metal Zippers across the backpack.